Shopping for Spider-Man Action Figures? How do you stop the Rhino from charging? Leave him in the box! 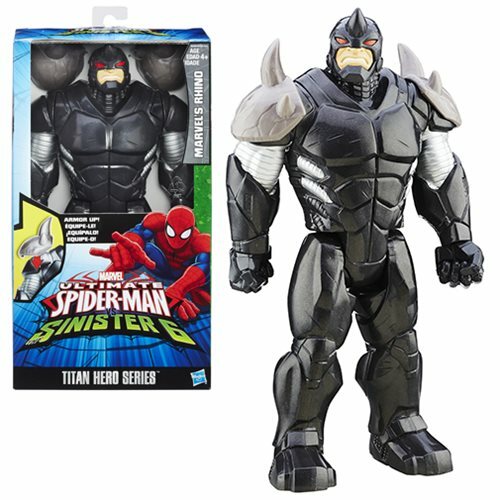 The Spider-Man Titan Hero Series Rhino 12-Inch Action Figure is huge, bulky, and a real nuisance for our friendly neighborhood Spider-Man. He's a real smash! Ages 4 and up.